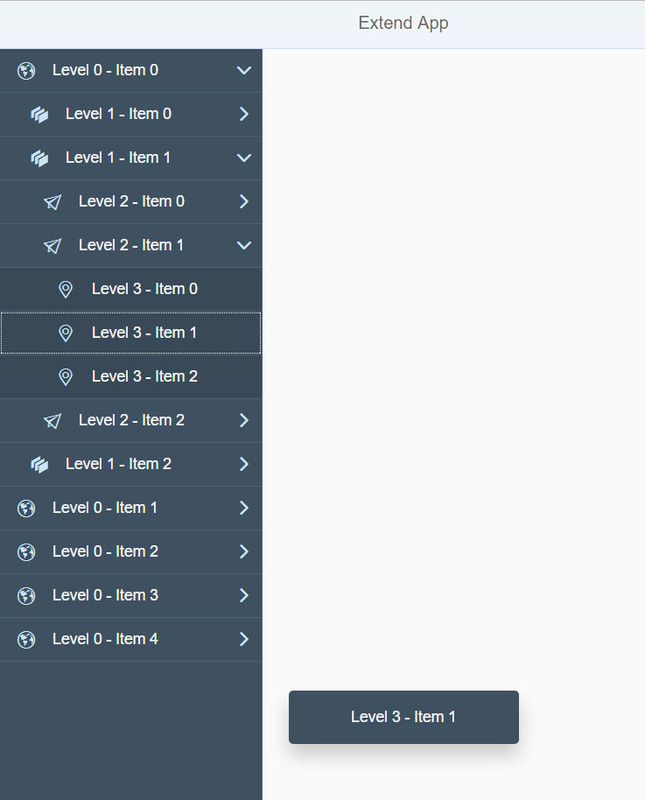 SAPUI5 Standard Controls are quite appealing in appearance and functionality. But sometimes you may need functions which are beyond the standard functionality. SideNavigation is one of these controls. It has a nice look and feel and a nice sliding effect. But it allows only two cascading levels, which is not enough in much cases. So, in this blog post we will extend SideNavigation control to make it allow multi levels (as many as you want). This blog post consist of three parts. In Part 1 we will explore the standard SideNavigation control and create a two level menu programmatically. I Part 2 we will extend NavigationListItem to make the SideNavigation multi level. In Part 3 we will adjust the look and feel of our extended control and add some additional functionality. You can clone the entire project from GitHub SideNavigationExtend . In the image below, you can see the Standard Structure of SideNavigation and the structure we will achieve after we extend the control. So now, we know where the key point is (NavigationListItem), we will concentrate on this. 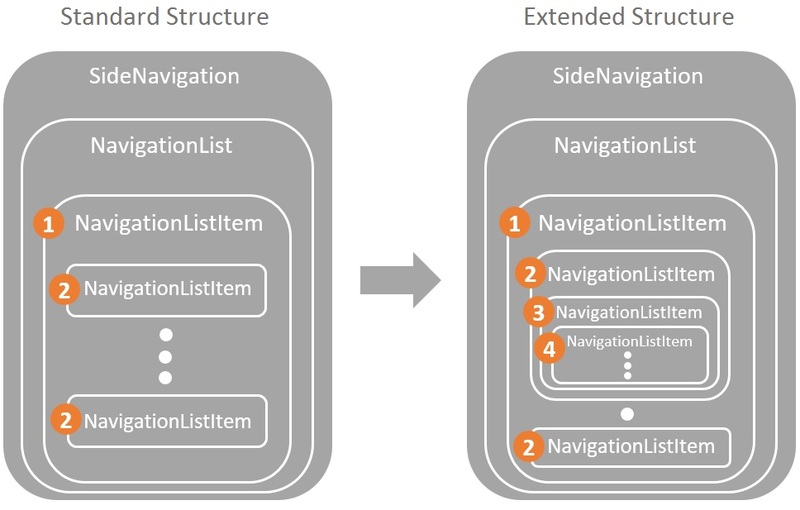 More precisely, we will extend NavigationListItem to allow multiple aggregation level to itself. Click on Finish to create your UI5 Application. Web IDE will create all the necessary structure for you. In the webapp folder create a folder as “controls”. We will keep the extension files in this folder. Open index.html file. Change the “sap.demoSideNavigationExtend” to “sap.demo” in the data-sap-ui-resourceroots inside the script tag in the head area of html page. And change “name : “sap.demoSideNavigationExtend”” attribute to “name : “sap.demo”” in the new sap.ui.core.ComponentContainer constructor. Open App.view.js file. Change “sap.demoSideNavigationExtend.view.App” to “sap.demo.view.App”. 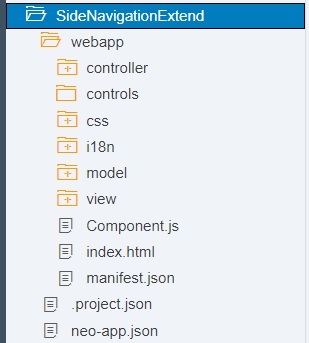 Open App.controller in the webapp->controller folder. Here, change “sap.demoSideNavigationExtend.controller.App” to “sap.demo.controller.App”. And “sap.demoSideNavigationExtend.controller.App” to “sap.demo.controller.App”. Open Component.js file. Change “sap/demoSideNavigationExtend/model/models” to “sap/demo/model/models” and “sap.demoSideNavigationExtend.Component” to “sap.demo.Component”. Open manifest.json file. Change “sap.demoSideNavigationExtend” to “sap.demo” in the “sap.app” section. 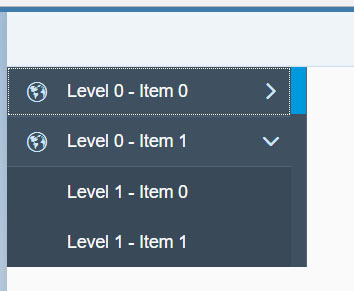 Change “viewName”: “sap.demoSideNavigationExtend.view.App” to “viewName”: “sap.demo.view.App” in the “sap.ui5” section. Finally change “bundleName”: “sap.demoSideNavigationExtend.i18n.i18n” to “bundleName”: “sap.demo.i18n.i18n” in the “models” object. Save all these files. Now we adjusted our namespace. To check if your app is up and running, run index.html file. You should see the Shell in the browser. If you don’t see this, open Developer Tools of your browser (I prefer Google Chrome and press on F12 to open Dev Tools). And check Dev Tools Console to see what the error is. We will create a SideNavigation, and a NavigationList first. Then we wil use a for loop to create the NavigationListItem’s for first level (level 0, zero based). You will see that it won’t render Level 2. 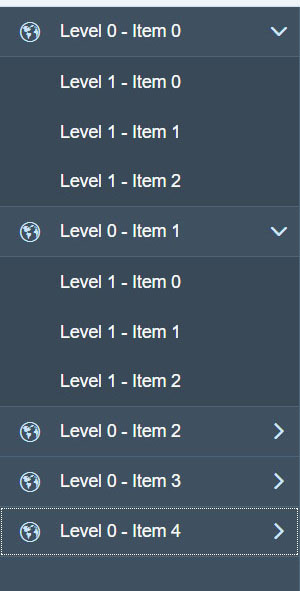 You will only see Level 0 and Level 1 items. So far we created the standard SideNavigation and see that it doesn’t go deeper more than two levels. This is due to the NavigationListItem and now it’s time to extend this control. In the next part of this tutorial we will extend the NavigationListItem to make the SideNavigation a beautiful multi level menu control.